Airbnb: First, we are happy to announce that we have acquired Accomable and will be welcoming them into the Airbnb family. Accomable was founded in 2015, by Srin Madipalli and Martyn Sibley – two friends with Spinal Muscular Atrophy who have travelled all over the world. Frustrated by the difficulty of finding accessible places to stay and reliable information, Accomable was launched to make it easier for everyone to travel, regardless of disability. 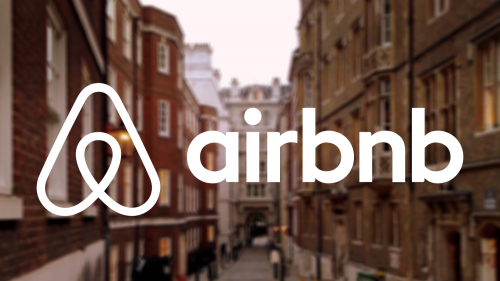 The Accomable site will be wound down over the coming months and we will work to include Accomable’s listings in more than 60 countries on Airbnb. All of these listings have step-free access, high quality photos and detailed information on a whole range of accessibility adaptations. Perhaps more importantly, Srin and his team will be bringing their tremendous expertise and passion for inclusive travel to Airbnb. As part of the Airbnb team, Srin will lead our efforts to make travel accessible for everyone. Srin and his team will be building on work that is underway to make the Airbnb experience better for everyone. Previously, travelers with disabilities could only search for homes that were labeled as “wheelchair accessible” when they were searching for an accessible place to stay. Guests weren’t getting the information they needed to find the right homes, nor the confidence that the home they selected would actually be accessible for them. To help address this problem, we have been working on new “accessibility needs” checklists for hosts. While Srin and his team haven’t been involved in the development of these new tools, we’re confident that they will make our community more accessible for everyone and we’re going to work to make them even stronger in the future.